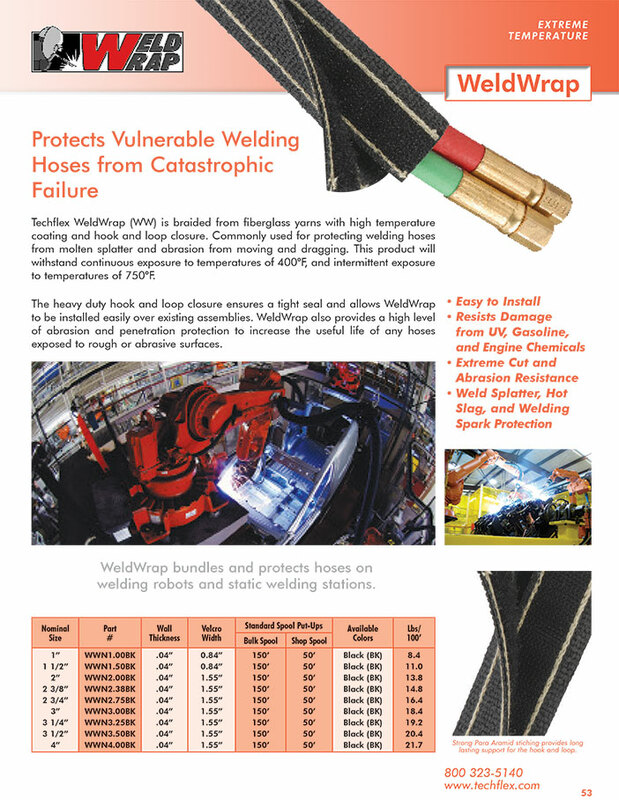 1" 1 1/2" 2" 2.38" 2 1/2" 2 3/4" 3" 3 1/4" 3 1/2" 4"
Techflex Original WeldWrap construction is braided from fiberglass yarns with high temperature coating and hook and loop closure. Commonly used for protecting welding hoses from molten spatter and abrasion from moving and dragging. This product will withstand continuous exposure to temperatures of 400°F, and intermittent exposure to temperatures of 750°F.